How Serious are You About Ice Cream? Ice cream season is fast approaching (well, for ice cream lovers, it can’t get here quick enough). 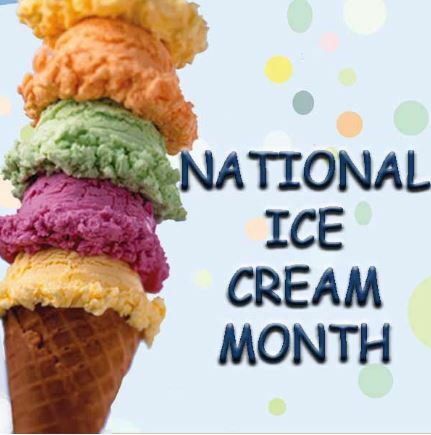 In fact, National Ice Cream Month is celebrated each year in July in the United States. It was in 1984 that President Ronald Reagan designated July as National Ice Cream Month, and July 15 as National Ice Cream Day. Was that an awesome proclamation, or what? So anyway, with this grand event in mind, it’s important to prepare early and I was studying information on all things ice cream, and on thekitcn.com I found a question that got me to thinking: “How serious are you about ice cream?” The writer of this particular article wrote, “If you want pretty, perfectly rounded scoops, you're going to need the right tool.” Well yes, of course I want pretty, perfectly rounded scoops. So I read on to discover what “the right tool” was. 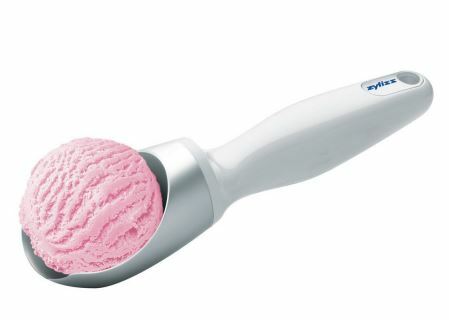 Thekitchn.com had done a product test, similar to what America’s Test Kitchen does, on five different ice cream scoops. After rigorous drills (scooping, rolling, rolling, scooping—with a little bit of tasting in between, I bet), they found one that they say really measures up to the task. Their top pick? 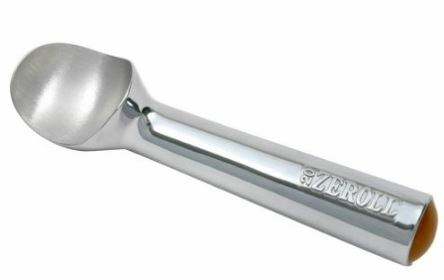 Zeroll Original 2-Ounce Aluminum Ice Cream Scoop, $15.99 from Amazon. The author said they’d recommended this scoop a few years ago and were happy that it still stood out from its competitors. 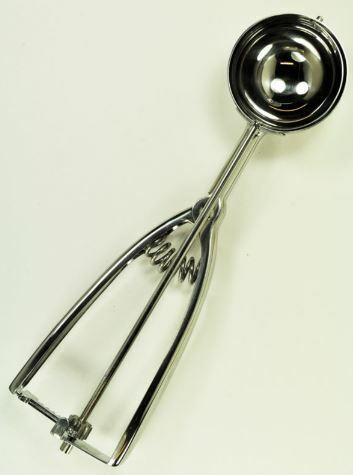 Classic and sturdy, it has heat-conducting fluid in its handle to help melt ice cream as you scoop. Note: this feature also means it's NOT dishwasher-safe. The other four they tested that they said were great runners-up? 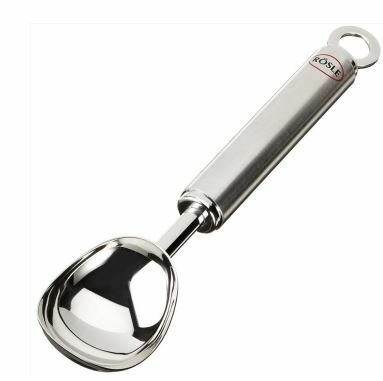 Rösle Ice Cream Scoop, $23 from Sur La Table: designed in Germany and made out of 18/10 stainless steel, the Rösle scoop has a tubular handle and a very thin lip for neat, perfectly rounded scoops. Fantes Stainles Portion Scoop #16, $14.99 from Fantes: a Cook's Illustrated recommendation, the Fantes scoop #16 (which means you get 16 scoops per quart) works particularly well for softer ice cream. 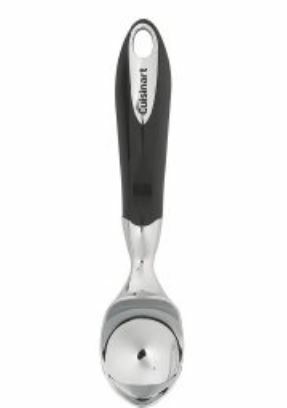 Cuisinart Ice Cream Scoop with ABS Handle, $14.99 from Amazon: a strong, sturdy scoop! Pretty basic, but durable. Still hunting around for more opinions, I found one from a company I’ve trusted with my culinary decisions for several years. 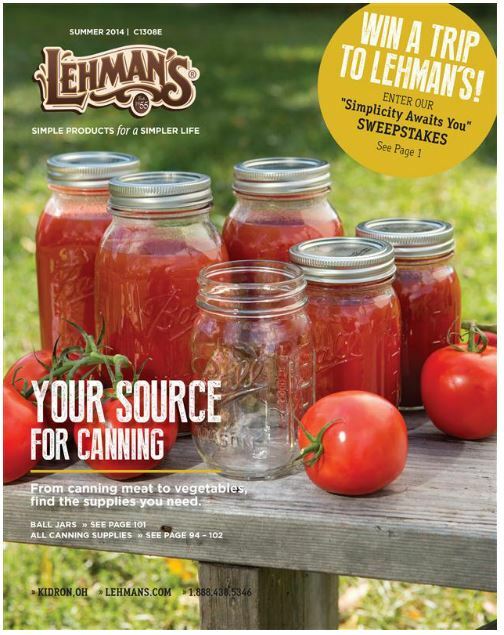 Lehman’s, the Amish catalog company who provides “simple products for a simpler life,” also has an ice cream scoop. And these folks ought to know—ice cream is one of their basic food groups! They offer not a scoop, but a spade. The catalog says, “Serve the hardest ice cream with ease. It’s all in the design. Blunt-end stainless steel blades smoothly cut through frozen-solid ice cream, frozen yogurt or custard, making serving a breeze. These spades are so popular we can barely keep them in stock. 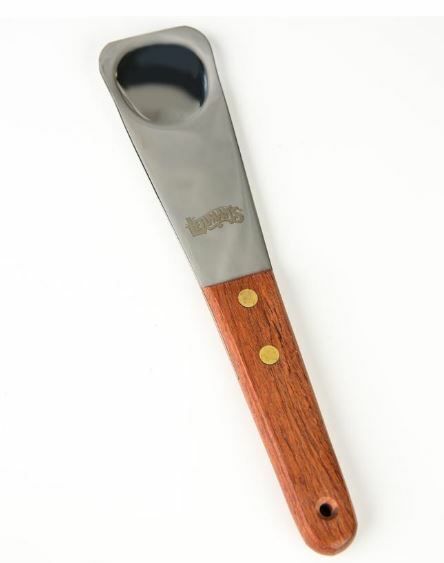 Blades are riveted to smoothly finished hardwood handles.” Their USA-made spade (with a dimpled end that keeps ice cream from sticking to the blade so it can dished up quicker) runs $16.95. So I guess my big decision now is, do I want pretty, perfectly rounded scoops, or do I just want to get the stuff dished up quickly and easily? Hmmm—lovely presentation or a big honkin’ bowl of ice cream in no time flat? I think the choice is obvious. It’s Lehman’s spade for this kid!